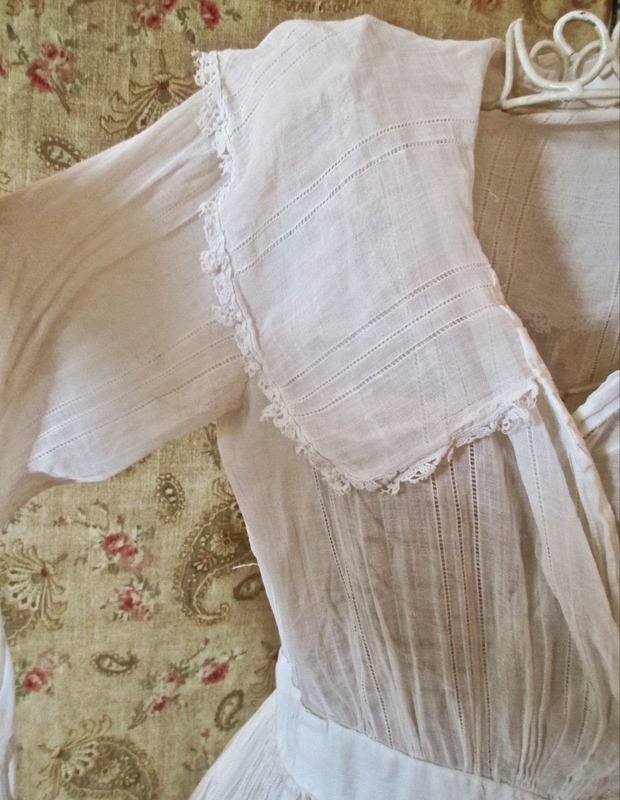 From a Vermont estate, this is a darling gauzy linen tea dress from the Edwardian era circa 1910. 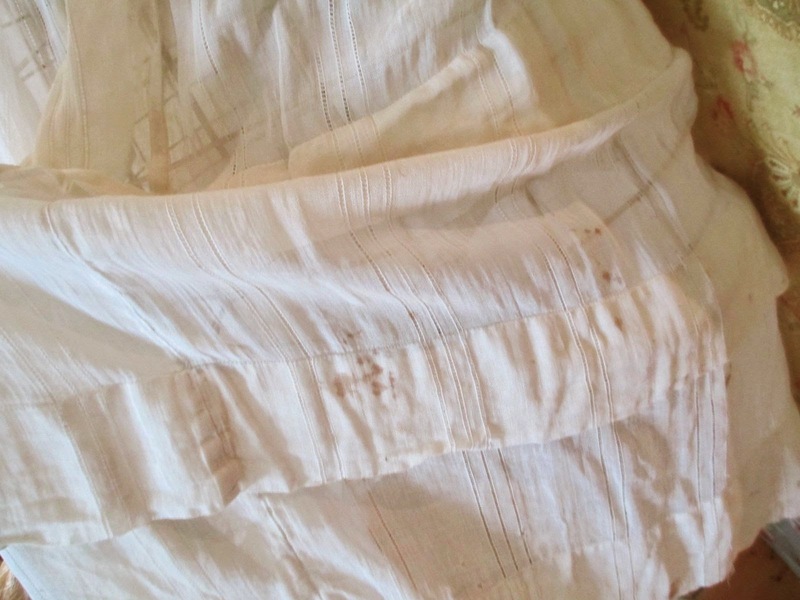 Off white in color, the linen has drawn thread stripes in alternating rows of 2's and 3's. 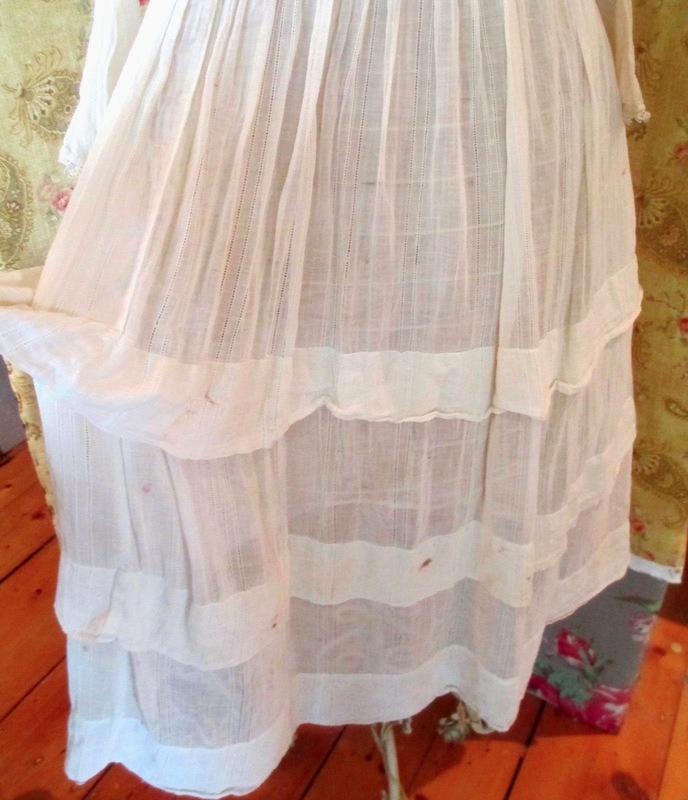 The large collar and long nicely tapered sleeves are trimmed in lace and the full skirt has 2 tier bands on the bottom.There are tiny match stick pleats and the waist. 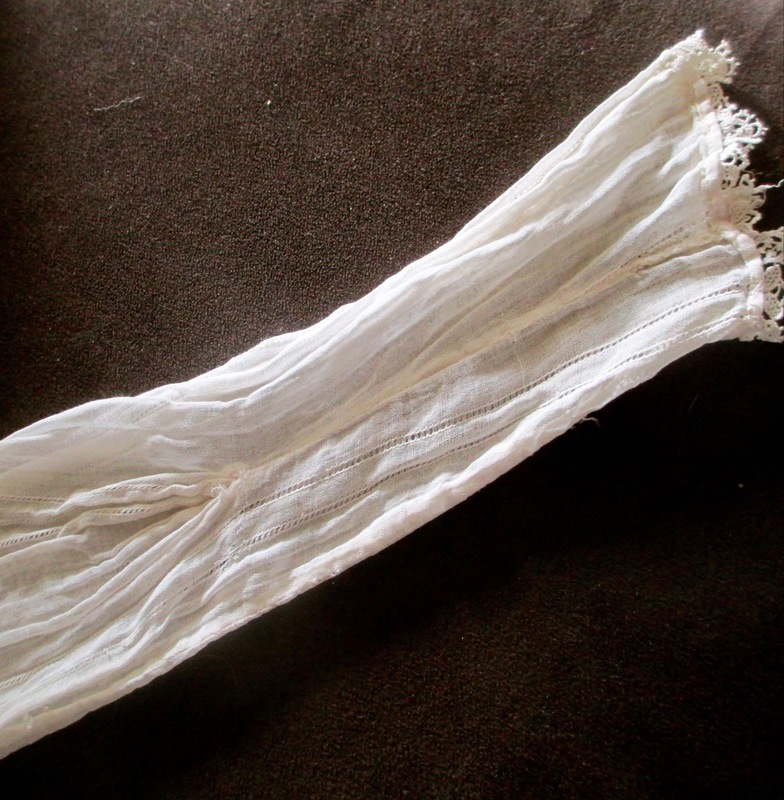 The top wraps around and fastens at the waist; the hooks need to be replaced as they are only partially there. A few light brown spots an area of light brown discolor is evident in the photographs so please look at the pictures. Some may come out with a spot cleaning. There just a few small flea bites and couple of stitches needed here and there in the seam. 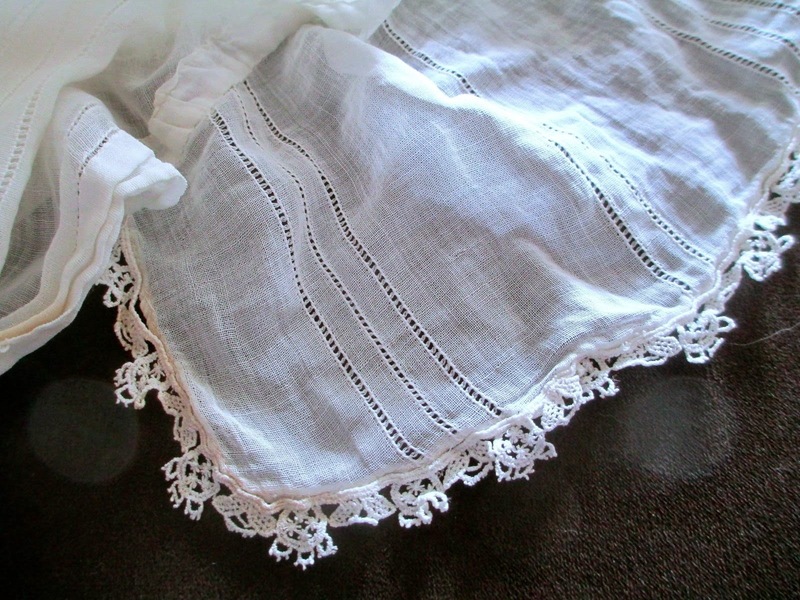 That said, the dress looks great as you can see in the picture and the integrity of the linen is very good. Either for display or occasional wear, it has held up well. The measurements are: waist 24-26", shoulder to shoulder 13" bust 34", circumference armhole 14", waist to 31". 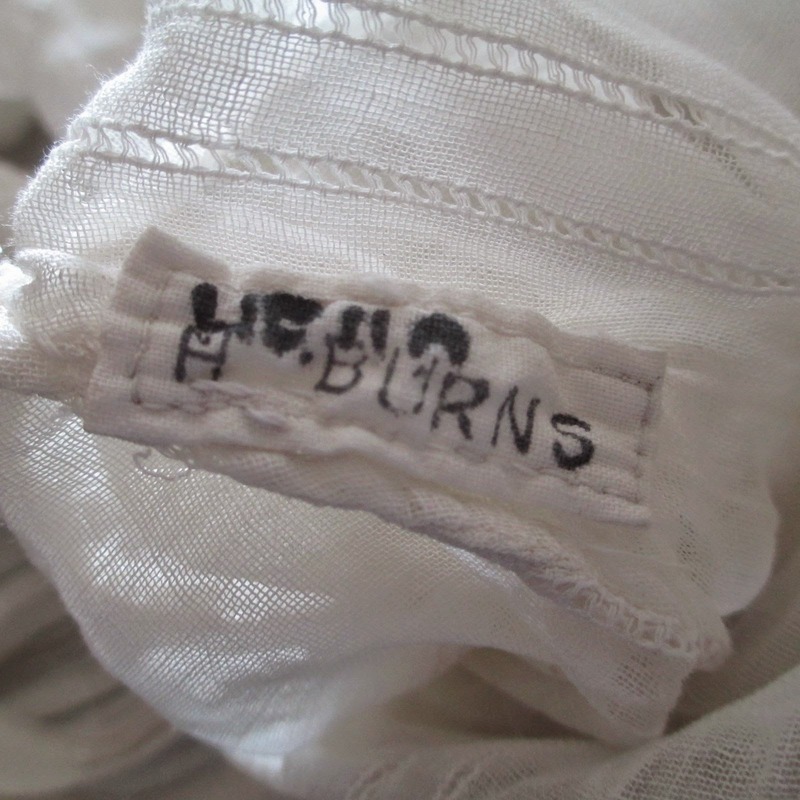 I love the tag sewn in with the owner's name. Probably a "uniform" dress of sorts that was required in college. My college used to have a copy of their "requirements" from 1914, I believe. 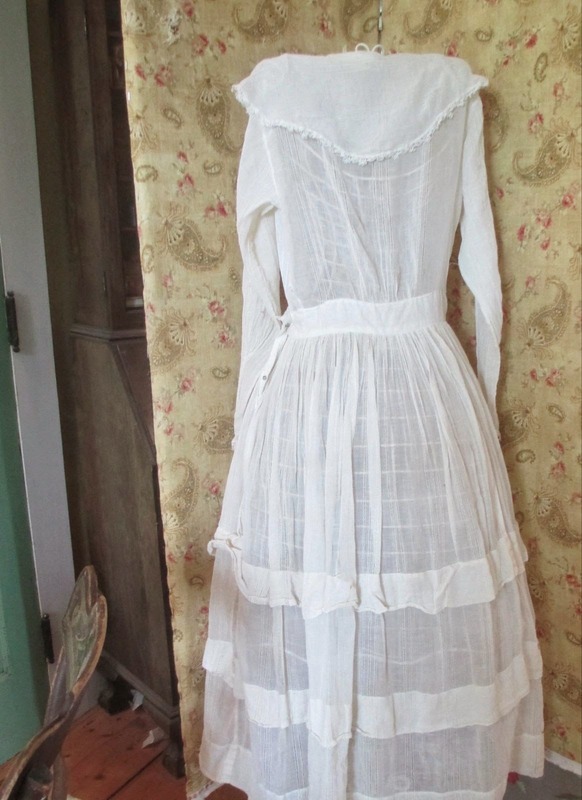 It included a trunk with two dresses, a navy blue skirt, two shirt waists, and gloves. :-) Since the girls would sometimes send the clothing off to be washed, name tags were required.